Sorry I’ve been quiet on here this past week; I’ve been on an adventure. With the Tall One, this weekend was spent exploring parts of New Zealand that we’d never seen before. Parts that are key in the country’s history, but not so important to day-to-day life now. Parts that are gorgeous – both in their aesthetic appeal, and their nonchalant being. 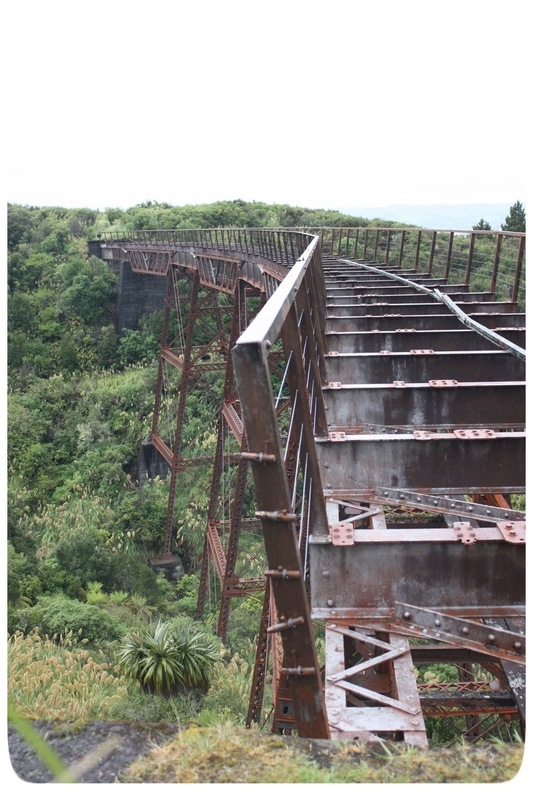 We did the Old Coach Road walk from Horopito to Ohakune. 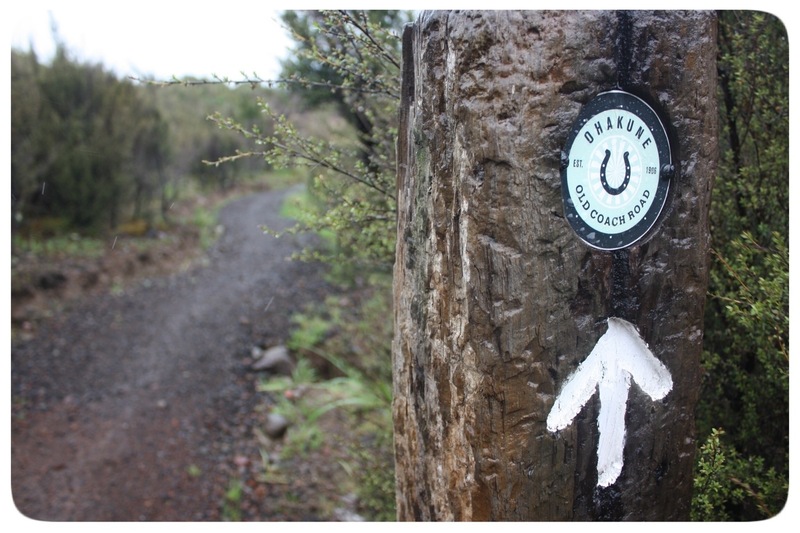 The trail itself doesn’t go to Ohakune township, but we walked the extra 3km from the end of the trail to get there because my planning was terrible and I shouldn’t be trusted with a map. From now on, my plans should all undergo a peer-review before being implemented – but that’s a story for another day. The walk has only been reopened in recent years and follows the path travellers and coaches used to have to take between the Northern and Southern railways before they were connected (like they are today). The road was cobbled, and a lot of the stones remain. Other remnants include old viaducts, and tunnels. Every now and then we caught glimpses of the current railway lines. If we had timed it better we could have been right under the current track as the train sped overhead. Unfortunately, we missed it by about 10-15 minutes. It began raining when we were in the shuttle out to the starting point and didn’t let out until we were more or less at the end. We had our raincoats, and kept warm, but we got very wet. Especially our feet when we had to cross a couple of streams that had washed-out bridges. 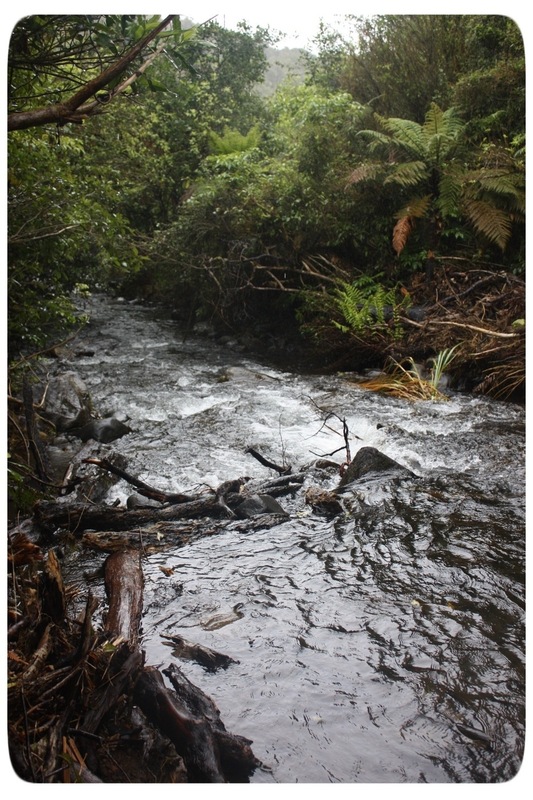 We were wearing sneakers – not tramping boots – so there was nothing to keep the water out. And we saw it all in less than a days walk. Afterwards, when we got back to our accommodation, we thawed under the shower and had a mid-afternoon nap before finding tasty nibbles for dinner. Super casual. Soooo New Zealand bush. And – the best bit – no more sunburn! Sounds like fun, except for the rain. If its any consolation I am the queen of getting lost!